The Detroit Auto Show Is Showing Off The Amazing Electric 3D Printed Car! In this video we are taken to Detroit’s North American International Auto Show where people are getting to look and and test drive an electric 3D printed car! 3D printing has taken a huge technological swing since it was first introduced and it truly is amazing that they can now produce cars! This specific 3D car came from a micro lab in Washington D.C and is all plastic. 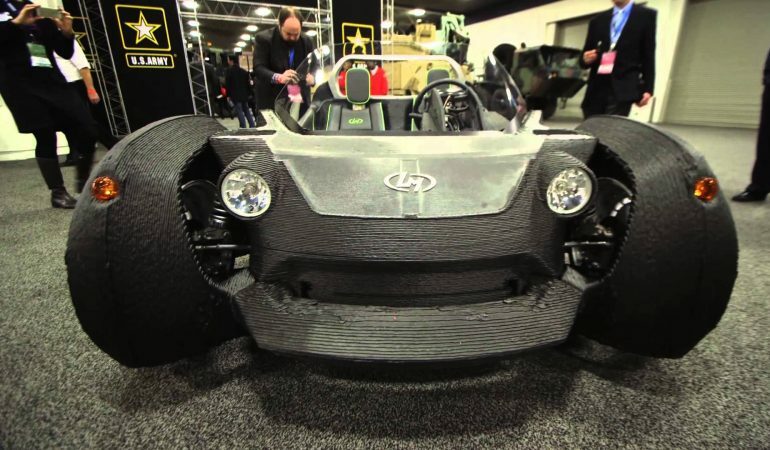 Click the video below to get a full look at this awesome electric 3d printed car!